Following are closeup pictures of the front panel of the R391. 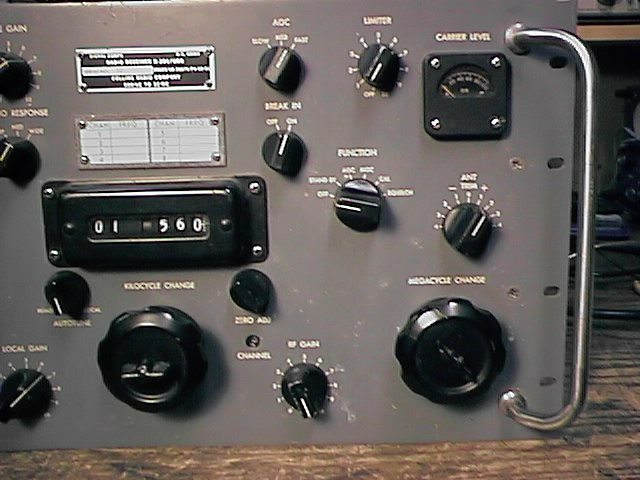 Note the location of the antenna trimmer, above the MC tuning knob, the dial locks in the middle of the MC and KC tuning knobs and the channel indicator window below the zero adj knob. The function switch also contains the marked squelch position. 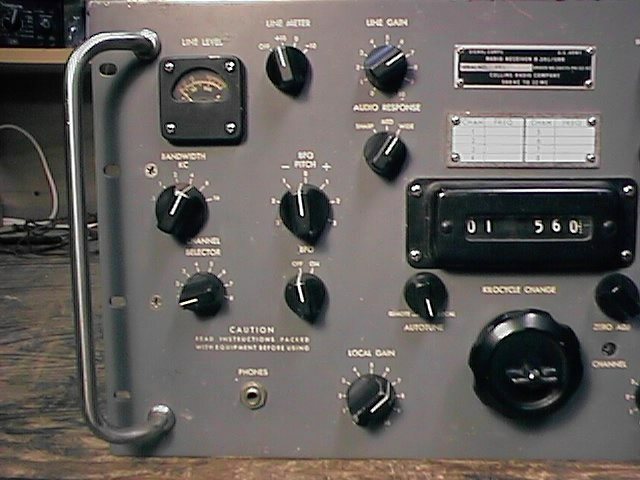 The tag above the digital frequency readout lets you pencil in the frequency associated with each channel. Note the channel selector switch, and the Sharp/Med/Wide position on the Audio response switch, the Autotune Remote/Local switch where the dial lock normally is and the dial lock knob in the center of the KC tuning dial.